Hills and vales of steel take shape on the 6,000 square-metre site of the future Assembly Building in November. The future concrete basemat, ranging in thickness from 1.2-2.2 metres, will have to integrate the complex topography of the underlying galleries for drainage, electricity and piping. 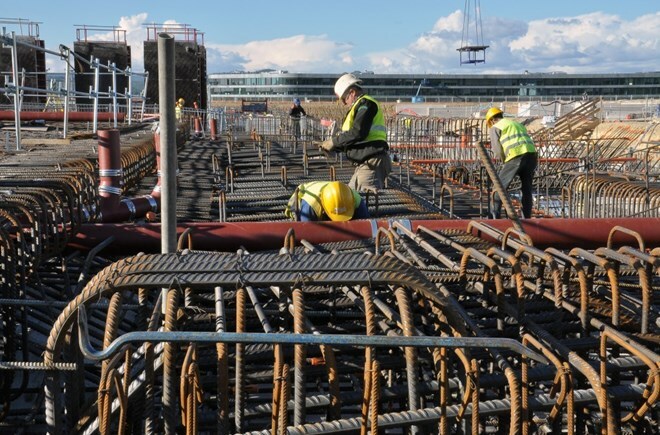 As a result, the rebar reinforcement (1,500 tonnes) is particularly dense and complex. Workers began reinforcement work in September; another three months will be needed to complete the job before concrete pouring begins.